The rent at 2072 Wabash Apartments ranges from $975 for a one bedroom to a $975 one bedroom. Apartments in this building are about 34% less expensive than the Downtown average. 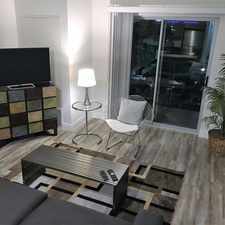 This apartment is in the Downtown neighborhood in Detroit. Nearby parks include Roosevelt Park, Macomb Park and Stanton Park. 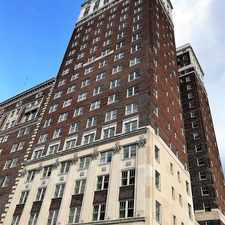 2072 Wabash Apartments has a Walk Score of 69 out of 100. This location is Somewhat Walkable so some errands can be accomplished on foot. This property offers an awesome combination of beautifully historical style & comfort. Charming 1 bedrooms and studios in the heart of the "Corktown" area in Detroit where the cost of living is quite low and the rental rates for our apartments are HIGHLY ATTRACTIVE for any budget from affordable to luxury. Our historic building has on-site maintenance and laundry. Also has storage in the basement area, hardwood floors, newly remodeled common areas and digital entry. We are located 1 block south of Michigan Avenue across from the train station and within walking distance to all neighborhood amenities. Explore how far you can travel by car, bus, bike and foot from 2072 Wabash Apartments. 2072 Wabash Apartments has some transit which means a few nearby public transportation options. 2072 Wabash Apartments is in the Downtown neighborhood. Downtown is the 2nd most walkable neighborhood in Detroit with a neighborhood Walk Score of 74.